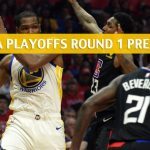 The Golden State Warriors must be kicking themselves in the head for letting the Los Angeles Clippers steal Game 2 away from them. 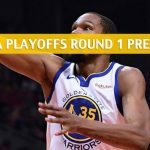 Will the Warriors get the series lead back with a crushing performance? Or will the Clippers pull off another shocker and get the series lead? Despite the loss, the Warriors odds to win the Western Conference moved from -375 to -325, while the Clippers remain at the bottom with a price of +25,000. The Warriors have been the most dominant team in the NBA over the past several years, but it’s not immune to upsets either, as the Cleveland Cavaliers in 2016 — and now the Clippers have both proven. The Warriors and their fans were left shellshocked Monday night, as the team squandered a 31-point lead and lost to LA at home, 135-131. The loss wasted Stephen Curry’s 29-point performance and the 21-point contribution of Kevin Durant. The loss was something that was self-inflicted, too, by the Warriors, who had 22 turnovers. 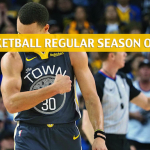 Despite the loss, the Warriors shot well, hitting 53.5 percent of their shots from the field and 39.3 percent (11-for-28) from deep.Perhaps the biggest concern for now for the Warriors is the health of big man and starting center DeMarcus Cousins, who exited the game in the first quarter due to a leg injury. There are no diagnosis yet as of this writing as to the extent of Cousins’ injury, but it seems safe to say that he would be out for at least Game 3. That means increased playing time for Kevon Looney, who had 19 points and five boards in 19 minutes in Game 2. 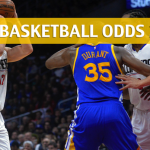 Golden State is 5-1 against the spread (ATS) in its last six road games against the Clippers. 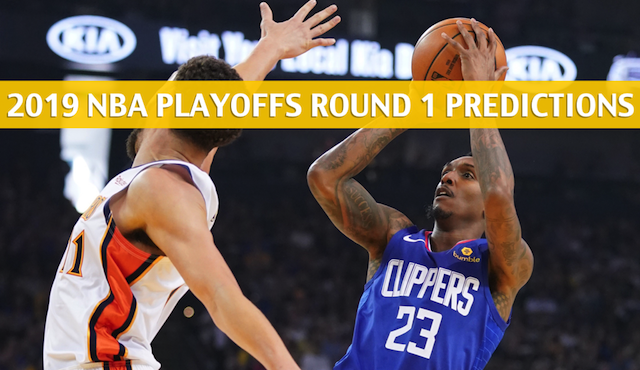 Lou Williams did everything in his power to guarantee a statue outside Staples Center one day with his performance in Game 2 against the Warriors. 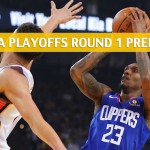 Williams came off the bench and exploded for 36 points, many of which came when the Clippers needed them the most and when the pressure was as high as the odds of LA to beat Golden State when his team was down by as many as 31 points. Williams did get ample of help also from the likes of Montrezl Harrell and Danilo Gallinari. Harrell was a perfect 9-for-9 from the floor for 25 points to go with 10 rebounds in 33 minutes — also off the bench. Gallinari, meanwhile, led all starters with 24 points. If the Clippers are to take down Golden State again, they know that it’s going to require them a big collective effort. 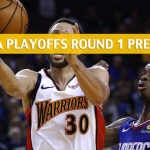 Rookie Landry Shamet embodied that by producing 12 points, including the game-winning three-pointer that broke the Warriors’ back in the clutch. Speaking of outside shooting, the Clippers are second in the playoffs with 38.8 percent success rate on shots from behind the arc. The over is 3-0 in the Clippers’ last three home games.